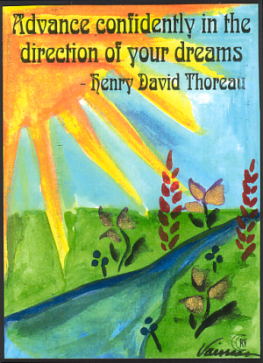 5x7 poster of famous quotation by Henry David Thoreau surrounded by whimsical artwork of Raphaella Vaisseau. "Advance confidently in the direction of your dreams" - Also available as larger matted quotes or posters. Enjoy every day. Live the life you've imagined. Discover something new. Follow your dreams.